This blog post is the second in a series written by foundation leaders in response to a new research report published by BoardSource titled Foundation Board Leadership: A Closer Look at Foundation Board Responses to Leading with Intent 2017. This report is an effort to better understand the particular dynamics of foundation boards and involved taking a close look at the subset of responses from the 141 foundation leaders who completed the Leading with Intent 2017 survey. While the sample of foundation responses is relatively small and a convenience versus representative or randomized sample, we believe the report nonetheless provides important insights into the dynamics at play within some foundation boards. Do you remember the study that came out in 2014 that found three-quarters of whites do not have any non-white friends? The study was conducted by the Public Religion Research Institute and made headline news. When asked to name their closest friends and family members, 75 percent of white Americans did not name even one person who was non-white. To put it another way, 75 percent of whites have “entirely white social networks without any people of color presence.” I remember white people being shocked by the findings and reassuring themselves and others that they were inclusive. People of color were shocked that white people were shocked by the research findings. I remember reading quite a few articles written by white people urging whites to diversify their networks and pitching the benefits of having a racially and ethnically diverse network of friends. What does this have to do with the board compositions of foundations? Perhaps everything. Come on! Mostly white, relatively wealthy men who currently sit on foundation boards, just admit it: You don’t really have the intent to diversify foundation boards. Sure, you say you do, but you don’t. Intent implies deliberateness, determination, resolve. Intent is a mindset that leads to action. Your foundation does not need a racially and ethnically diverse board of directors to achieve its mission. The diversity of viewpoints that come from different life experiences and cultural backgrounds will not strengthen the deliberations and decision making of your foundation’s board. 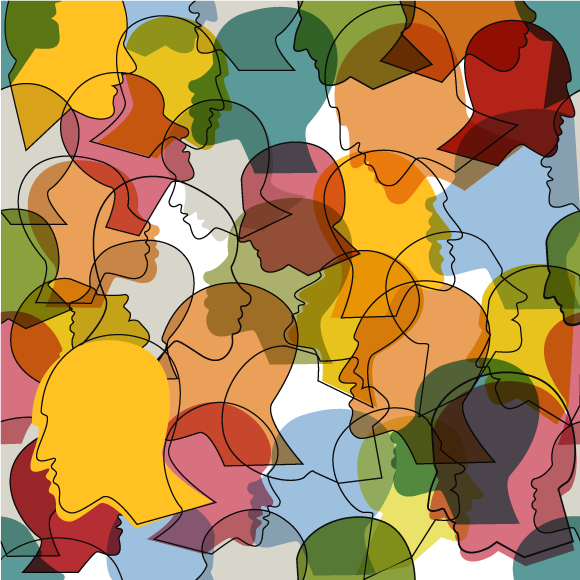 Having demographically diverse board members is not relevant in helping your foundation understand the context in which it works and how best to prioritize resources and develop relevant strategies. A demographically diverse board has no bearing on your foundation’s impact, influence, relevance, and advancement of its mission. You most likely do not know that foundation boards that are not diverse are stagnant; therefore, they are not catalyzing change, which is a major role of philanthropy. And chances are you don’t know that you need to cast a wide net to recruit ethnically and racially diverse board candidates. By your actions, it is clear that you just don’t want to know. You do not have intent. You have made a choice. You are wishing for diversity and have no intent to make it a priority or to expand your network to include people of color. Foundation boards are a reflection of the affluent white American — entirely white social networks with no people of color present. I would venture to guess that most board members would say their foundation is trying to elevate civil society and make a positive difference in people’s lives. The idea that elite organizations like foundations have boards that continue to choose not to reflect and represent the diversity of civil society sends a message to the growing communities of color that they are not part of the solution and have nothing to contribute to solving the societal challenges we all share. Rather, foundations simply see people of color as the subjects of the solution. This persistent lack of board diversity and expansive philanthropic leadership communicates louder than anything else we can do or say with grant dollars. You have made a choice to be the embodiment of the foundation boards described in Leading with Intent. Doing a casual Google search will lead you to great philanthropic resources such as the D-5 Coalition, BoardSource, Initiative for Philanthropic Racial Equity, Change Philanthropy, Race Matters Institute, Council on Foundations ... I could go on. For board members reading this who protest, “But we are better than that,” where’s your voice? Where’s your action? ABFEs’ Leverage the Trust Toolkit gives you very concrete questions you can ask at your next board meeting. While I am sure there is a person of color willing to help you, I am not her. If you are inclined, do not call me for advice or email me with tired excuses and lame reasons why diversity is not a priority for your foundation board. I am not interested. I have work to do with my wonderful culturally, ethnically, sexual orientation, geographically, gender diverse board of directors. Sherece Y. West-Scantlebury is a 21st-century poverty eradicator and president and CEO of the Winthrop Rockefeller Foundation.